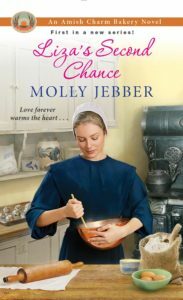 Liza’s Second Chance by Molly Jebber is a wonderful historical Amish romance. There is a warm welcoming family atmosphere pervading the whole novel. The Amish are a close knit group but even they have gossip and judgment within their midst at times. Both are quickly closed down. This helps to add a realistic feel to the novel because we know we are not always perfect. The Amish do pull together offering love and practical support in times of need. There are the tough themes of abuse – both verbal and physical. Abuse can happen to anyone. It is nothing to be ashamed of. “She’d forced smiles and kept secret his mistreatment of her.” If abuse is happening, we do need to tell someone. The novel is about loss. “I’m weary of running away from the pain of losing Mamm.” We try to fill the gap our loved one has left but nothing will ever take their place. We have to learn to live with our pain. There is a wonderful community feel to the whole novel. Bonding happens in the bakery over pastries, really whetting the reader’s appetite. Family and friends are important. If they see a need, it is met. God is important. Prayer is vital. We need to have faith in God and cover everything in prayer. Trust is a major theme. Having been hurt in the past results in trust issues but we cannot live our lives in grand isolation. “I’m learning to let go of my bitterness and anger.” We build walls around our heart to keep others out but it often results in a prison for ourselves. We need to learn to let go, trust God and others and begin to heal. God is the God of second chances. We do not always know why things happen but we have to trust that God is good and that He has a plan for our lives. Liza’s Second Chance was a perfectly wonderful novel. I got completely lost in 1912 Charm for a few hours as I journeyed through the story. I have read other books by Molly, so I know this will be a great read! I’m thankful for the second chances God gives us! Nice review of Liza’s Second Chance. Thank you for being a part of the tour. I love Molly Jebber’s books filled with God’s love and second chances. 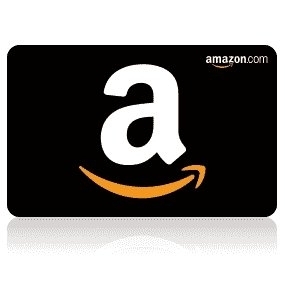 Thank you for your wonderful review on “Liza’s Second Chance” which reaffirms my desire to read this book. I appreciate you being on the book tour. I really enjoy reading Amish fiction and learning about the Amish way of life . Would live to read Molly’s books.